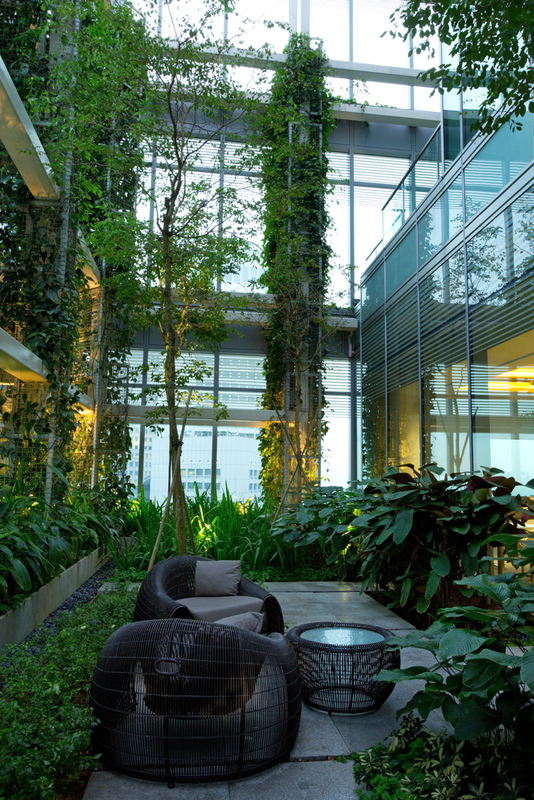 The tropical gardens in the sky at the Ocean Financial Centre were designed within the interstitial spaces between the building structure and glass façade. 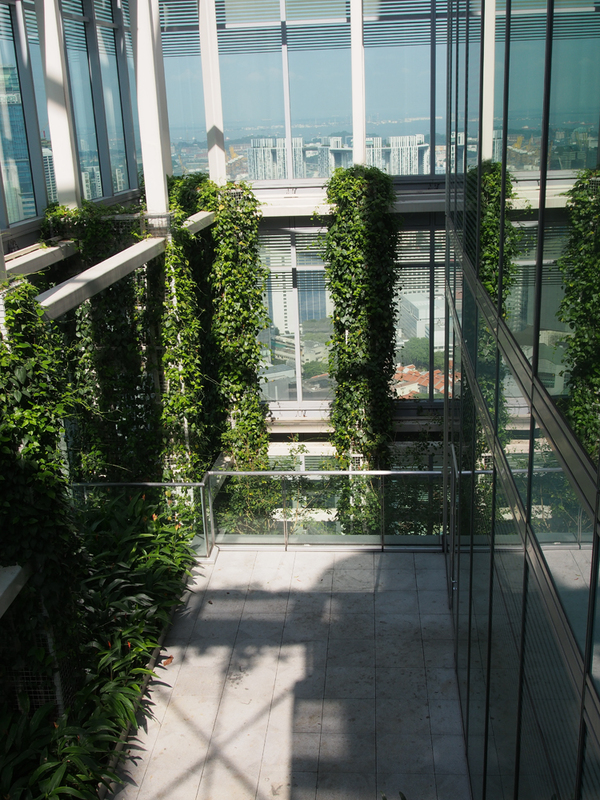 Creating a connection to the natural environment, the vertical landscaping at the highest floors from the 39th to the 43rd level provides a lush setting. 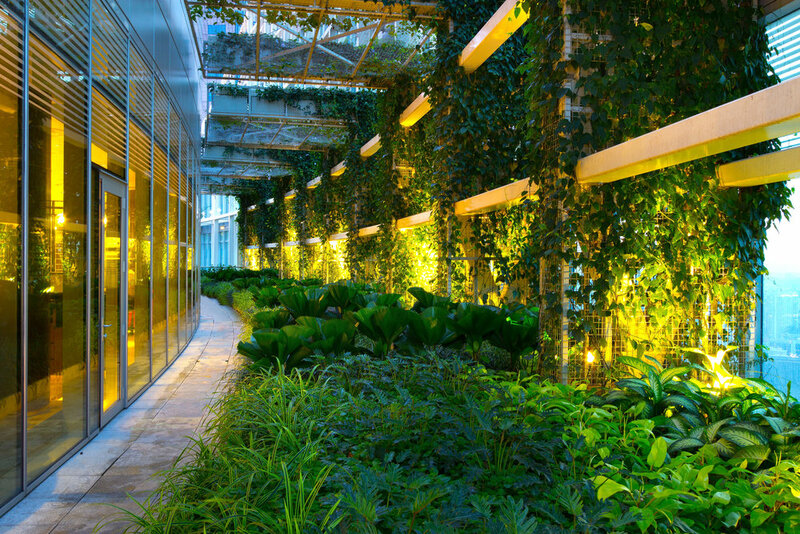 These areas offer much needed relaxation and relief to users who spend most of their time in the artificially ventilated environment of an office building. In response to the hard surfaces of the structure, the landscape provides a contrast, creating a softer and more intimate environment. 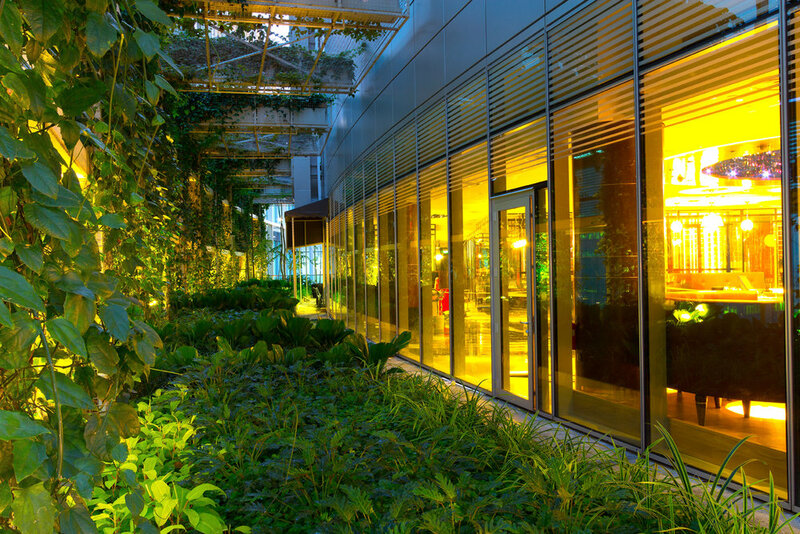 A large carpark occupying the plaza site became an opportunity to transform its surface into green. 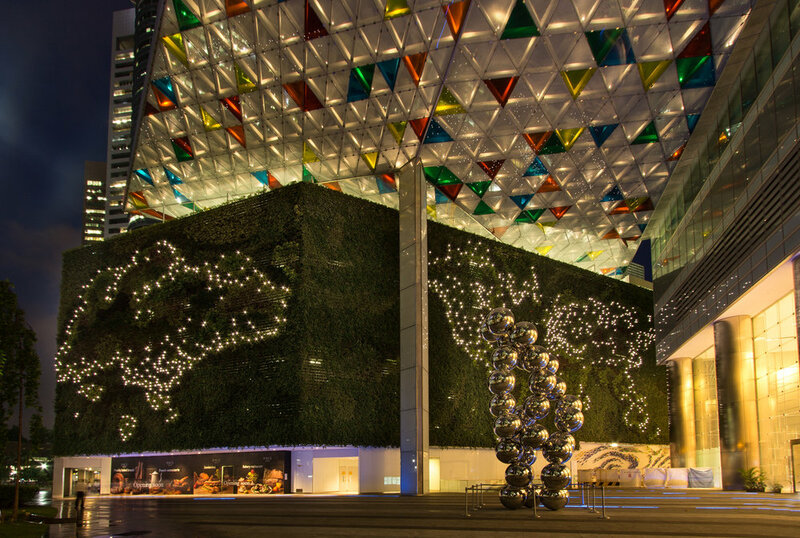 As a three dimensional expression, three exposed sides of the structure portrayed planted maps of the World, of South East Asia and Singapore. 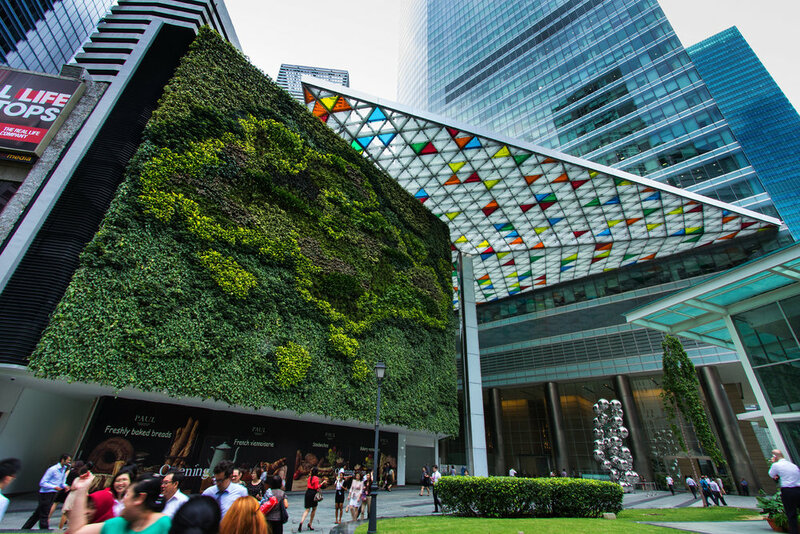 In 2013, it was featured as the largest green wall in the world in the Guinness Book of World Records.